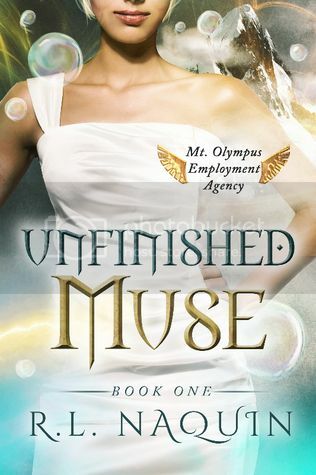 Book Summary: Wynter Greene, newly minted Muse at the Mt. Olympus Employment Agency, is on loan for six weeks to Hades, CEO of Underworld, LLC. Not a bad gig, if she doesn’t mind running errands across the River Styx. She hardly ever has to clean up after the three-headed dogs that guard the front gates. But she could do without so many people eager to fix her up on what literally amount to blind dates from Hell. All Wynter wants to do is get her six weeks over with so she and Phyllis, her talking plant, can go home, and she can go back to work inspiring people. If she can keep from screwing up on this job, she’ll get a clean slate at Mt. Olympus. Stripped of her Muse title, Wynter discovers she still can’t stop herself from inspiring people, even when the people she’s encouraging are supposed to be trapped in eternal torment. Not the best way to win points with her new boss. Book Review: Wynter is banished to the Underworld for six weeks. Upon her arrival, she learns that she will be taking over for a woman who is on maternity leave and she will be a personal assistant to the head of the Underworld itself, Hades. Her many tasks include walking the three-headed guard dogs and helping find fresh reading material for the Hags of the Underworld book club. I must say the Hags of the Underworld book club was quite entertaining. I loved how she went up against the most powerful witches and actually won against them. It was a first for them to have anyone say anything remotely against them but Wynter seemed to have won this round. Wynter's character was more fleshed out in this book. She seemed more the person who was embracing her role rather than how we first met her - nonchalant about the direction she was going in life. Another bonus to this book is we learned a bit more about Wynter and her mother, Persephone. I honestly was surprised to find this out especially when the first book kept throwing out there the "unknown father" every chance it got. And even more, we learned exactly what the cause was for Persephone's odd behavior. I am going to be honest. I actually thought the father was Bacchus. I know he is not entirely like Demeter in the way of nature but he does have a way with the plants. I mean if you stop to think about it he is the God of Wine, which is from grape vines. Okay so that might be different but if you stop to think about it it sort of made sense. I just was not expecting Persephone being the Goddess-mother. That sort of threw me off. I really hope Wynter's character continues to develops more when she returns to the agency. Book Summary: Wynter Greene is a chronic quitter—in work, in life, and in love. When she quits a job, a boyfriend, and a seemingly minor craft project all in one day, the dormant deity blood in her veins triggers a Welcome Package from the gods. A talking—and singing—houseplant named Phyllis bullies Wynter into taking a job at the Mt. Olympus Employment Agency. Meet Wynter Greene, chronic quitter extraordinaire. She has recently decided to terminate her job and cut ties with her boyfriend. Of course during this moment of madness, she finds out that her plant, Phyllis, can talk and coaxes her into going to an agency that could help her find something worthy. What Phyllis does not tell her is that the agency she sends her to is connected to world where Gods and mythical creatures are real. Wynter learns that somewhere down the line she has the blood of the Greek Gods running through her veins. On top of that, she has no knowledge of who her father is and her mother refuses to tell her anything about him. 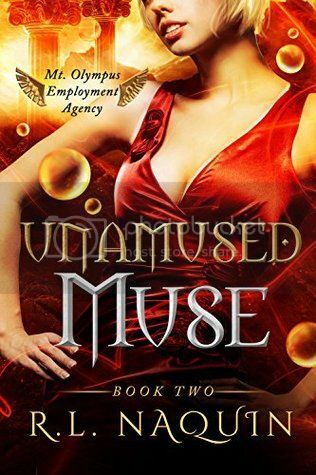 When Wynter survives orientation and the tasks set for she and others, she is assigned to the Muse department. She only gets one day training and her next tasks are three people - a toothpick artist, a scrapbook maker, and a urban developer. She has to inspire each one of these before the deadline. If she does not, she will be reassigned to the Underworld. But can a chronic quitter accomplish this fete? I am not sure what to think of Wynter at this moment. I could not find myself connecting her in any way as I had with Patrice until nearly the very end of the book. I am not sure if it was the whole nonchalant approach to life or what. Part of me had to put the book down and come back to it because Wynter was becoming frustrating and the story just became a chore to read. The only thing that I really enjoyed about this book was the concept of the whole agency that had been built by the Greek Gods. It was fun and one of the most interesting ideas I had seen yet. In this book, it was a bit more fleshed out than it had been in the Gorgon series. I suppose it would be with the many more pages this novel had than that with Patrice's story. I will read the next book in this series. I hoping that by the time I finish with that one I will be able to connect further with Wynter but we will see.